Here, I topped two scoops of a rich vanilla ice cream with this butter rum dessert sauce, then added salty chopped pistachio nuts. About Rum. No, I'm not an expert on rum. What I do know is that white rum while it is an excellent rum does not make a flavor statement in this sauce. Yes, I tried it and was disappointed. (Well, it was in my liquor cabinet and readily available!) Depending upon the brand, white rum is aged from several months to a minimum of one year. It has a light taste and is most often usesd in cocktails. Gold rum which is also aged has a medium body flavor, also great for cocktails. You can try a spiced rum; however, these rums are generally made from gold rums. Finally, I settled on a black rum or sometimes referred to as a dark rum for this recipe. Black rum, usually made from carmalized sugar or molasses, gets its bold intense flavor from being aged much longer, such as one year or up to three years or more. Thus, it is the rum most often used in cooking. Melt butter over medium high heat. Stir in the orange peel and corn starch. Bringing the mixture to a slow simmer, add the ground cinnamon, ground cloves, and ground nutmeg. Stir, stir and stir some more to get a very good blend. Add the light brown sugar and continue to stir to melt it and get a good blend. Turn off the heat. White continuing to stir the sauce, pour in just a little rum. Repeat this about three more times but at the last addition of rum, remove the sauce pan completely from the heating unit. At this point, the sauce is very hot. Still you can serve it over your choice of dessert that can absorb some of the heat. Or allow the sauce to cool and then serve, particularly if serving it over ice cream. 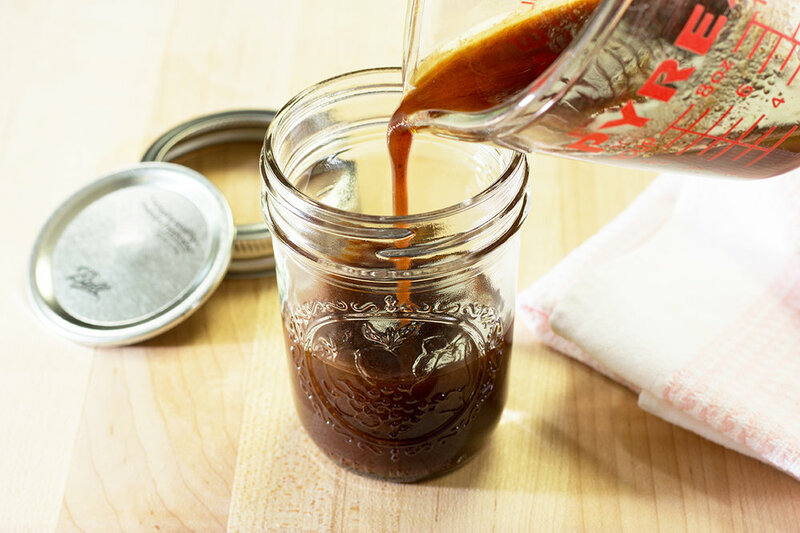 You can store the sauce in a preserve jar on countertop for a day or two. But after that do refrigerate it. If you refrigerate the sauce, to use the remaining sauce allow it to reach room temperature and stir vigorously before serving. The sauce does reheat nicely but don't over heat. Do you have a favorite spirited sauce?